Hello and happy Wednesday to you! Can you believe how fast summer is flying by? I’m not quite ready for (home)school to start. I’m enjoying the time off just as much as the kiddo! I will be glad to get some relief from this sweltering Texas heat, though. Plus, I just love fall. It’s my favorite season, for sure! 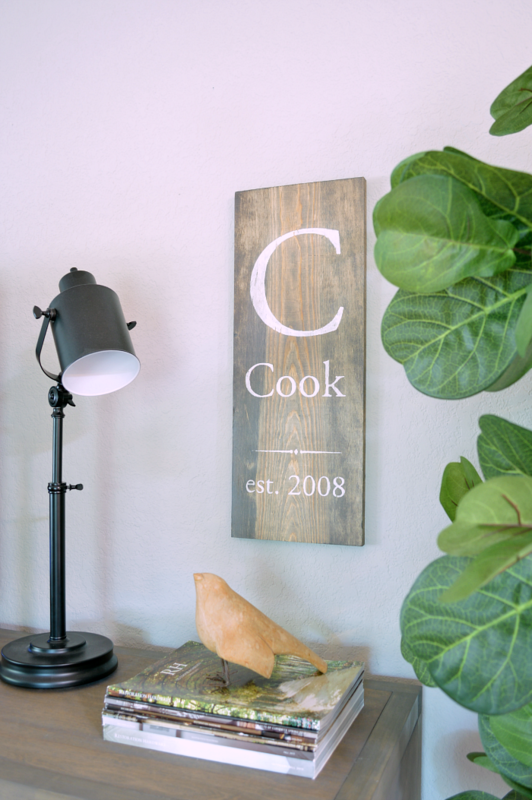 Today you can find me over at Domestically Speaking sharing my DIY Family Established Sign. This was a project near and dear to my heart. I just love projects that are super cute and meaningful. I’d love for you to check it out. Have a fantastic rest of the week! Previous Post: « Guest Posting at Lovely Etc.